A prisoner is condemned - rightly or wrongly. A foreigner is targeted because someone thinks they don’t belong. A parent grieves for a child’s suffering. A soldier follows orders, like it or not. A stranger reaches out with a simple act of kindness. An activist is killed for speaking truth to power. 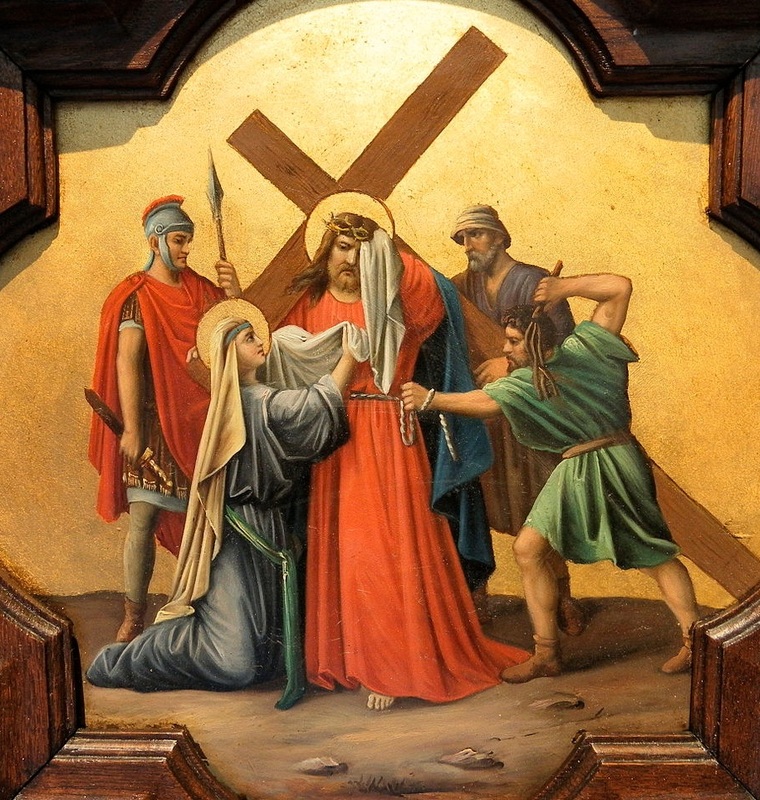 If you would like to download the full Stations of the Cross document, please click HERE. Location: Corner of S. Henry St. and W. Main St.
Stations of the Cross (#8) at Trinity Heights, Sioux City, Iowa. Estación IX del Viacrucis de Ademuz (Valencia): Jesús cae por tercera vez. Our Lady of Peace Shrine is along I-80 in Pine Bluffs, Wyoming. Location: Corner of W. Doty St. and Martin Luther King Jr. Blvd. Location: Sidewalk of Capitol Square, at W. Main Street and Martin Luther King Jr. Blvd. Location: Sidewalk of Capitol Square, at Mifflin St. and Wisconsin Ave. Location: Sidewalk of Capitol Square, at W. Mifflin St. and N. Carroll St., across from the Wisconsin Veterans Museum. Location: Steps of Grace Church, corner of N. Carroll St. and W. Washington Ave.